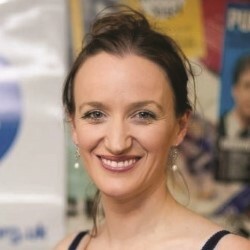 Our host is Kate Smurfwaite, whose credentials to run a topical show include numerous appearances as a TV and radio “talking head”. She chatted about George Osbourne’s chandeliers, Berlesconi, and inevitably, UKIP. She then brings on the panel to introduce themselves. Captain Angie Belcher amuses us with her childhood, and her team-mate Stuart Mitchell covers his Glaswegian background. Captain Phil Loweth had some funny gags on politics, Katie Hopkins, and bad journalism, while Keara Murphy faux flirts with the audience. As an audience, we get to give out the points, and not only to the teams, but to Kate, to each other, and even to people in the news who we feel deserve them. The first round is a standard picture caption competition, and felt a bit slow paced. 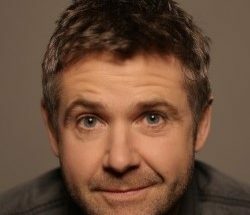 Second round is captain’s challenges set by the previous audience – a poem on drugs in sport, and a rant hating macaroni pies. Next, comes the cryptic question round – sometimes too cryptic to get quick responses. Finally each panellist shares their idea for a policy to make the world a better place and we cheered our favourites. Phil and Keara won, but several audience members weren’t far behind. The idea of this banter is great, but occasionally it felt like the panel were hoping for the crowd to answer.